I am releasing my source code for Tilt Board v3. It is released for personal use only. Please contact me if you would like to use any part of it commercially. 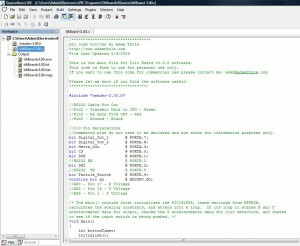 The project files were written in C using the Source Boost IDE and the BoostC compiler. It was originally written for a Microchip PIC16F88 microcontroller, but should be easily modified to work with most microcontrollers. I tried to comment the code well to make it easy to understand. 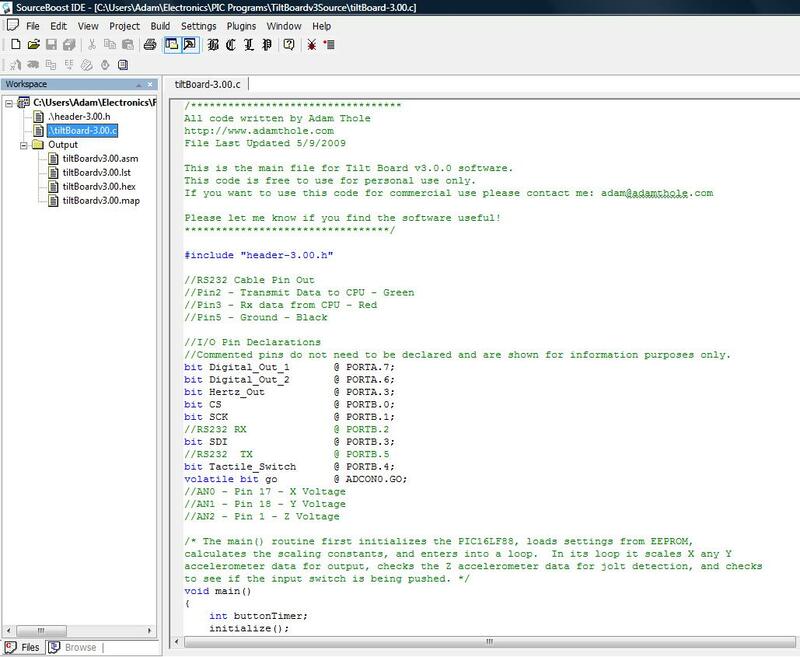 The download includes the C source code files and the compiled hex file. The source will allow you to make your own modifications, and the hex will allow you to program your own PIC without the trouble of setting up the compiler. This completes the information I have to release about the Tilt Board v3. 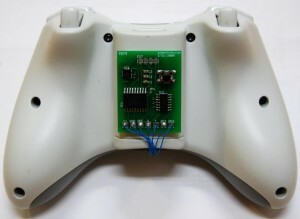 You should now be able to make your own and modify the code to suit your needs. If you need any help, make any improvements to my code, or just like what I am doing please e-mail me and let me know. Have fun! 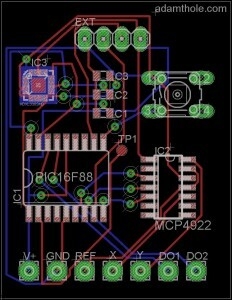 Download Tilt Board v3 Source Code by clicking here.